Did you hear? 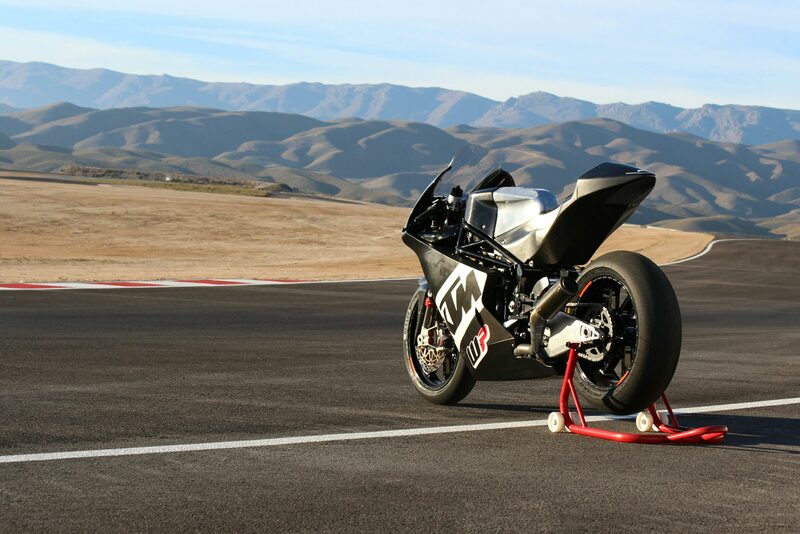 KTM is working on Moto2 race bike, to compliment the Austrian brand’s move into the MotoGP Championship next year? We only learned about the project earlier this year in February, but KTM and WP suspension are supposedly quite far with their progress on the bike, and are now “ready to race” in earnest. It might seem a little strange to see a KTM building a race bike chassis around a rival manufacturer’s engine (the Moto2 class is powered by slightly massaged Honda CBR600RR engines), but zie Austrian’s are serious about their Grand Prix racing presence, and feel that they need to be involved in all three of the championship’s classes. KTM CEO Stefan Pierer recently talked to Germany’s Speedweek publication about the Moto2 project recently, where Pierer revealed that the Austrian brand will race in the Moto2 Championship starting in 2017, with a team lead by Aki Ajo. Brad Binder and Miguel Oliveira will be KTM’s Moto2 riders for the inaugural season. Assuming that WP has put together a solid race bike platform, and there’s no reason to believe they haven’t, KTM’s Moto2 racing team should be a strong contender out of the box. The Moto2 Championship will only be Honda-powered through the 2018 season, a point that has been driven home by Honda’s recent abandonment of the 600cc supersport segment. This means that from 2019 and onward, Moto2 will need a new engine supplier. Could today’s news signal what’s ahead for KTM? So far Pierer says there are no plans for a full KTM Moto2 bike, but never say never.